An appealing mix of ancient and modern from one of our finest. Taken from performances in the crypt of St Mary’s Cathedral, Sydney in April this year, The Song Company’s latest disc is a three-part exploration of the Easter story using a thoughtful blend of renaissance polyphony and contemporary works. 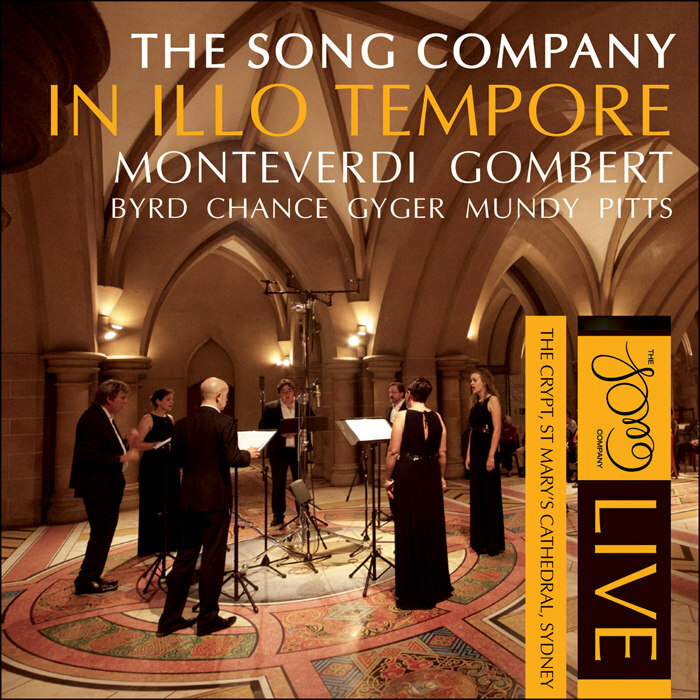 At the core of the program is Monteverdi’s Missa In Illo Tempore, along with the motet by Gombert which gives the mass its name. Unlike most of his works, Monteverdi’s accomplished unaccompanied mass setting was written in old-school ‘prima pratica’ in the hope it would win him papal favour and a performance in the Sistine Chapel. Between these movements of intricate polyphony come a number of contrasts. Thou Wast Present As On This Day by Song Company director Antony Pitts appears with increasing intensity in each section of the program: Tomb, Hades and Throne. The composer’s stark but striking use of harmony and texture works well in this context. Elliott Gyger’s Creator Alme Siderum and Alice Chance’s And the Lord said, Fiat Lux provide effective Australian counterpoint to older styles, the latter showcasing the upper voices. An anonymous 15th-century Credo sung by the lower voices adds clarity of texture, while Byrd’s O Salutaris Hostia delights with its spicy dissonances. William Mundy’s In Aeternum provides a fittingly serene conclusion to a richly absorbing program. Delivered with appealing beauty of blend, rock-solid intonation and great empathy of style, this program confirms the important contribution The Song Company makes to our national musical landscape. The presence of an audience and the corresponding reduction in resonance has led to the disc being produced in “surround” sound which may take some getting used to on a standard stereo platform. However, the quality and sincerity of the singing will soon put this caveat in the background. Jack Liebeck, Ariel Zuckermann, Emma Pearson and Tamara-Anna Cislowska among the guests at next year’s festival. The Song Company delivers a strange yet compelling ‘kind-of-opera’ about an unusual musical life. ★★★★½ A moving lunchtime celebration and fusion of cultures. The Song Company’s ex-pat director is planning Bach, birdsong and Billie Holiday for 2016. An uplifting, spiritually cleansing and intelligently multi-cultural Gallipoli tribute. Andrea Keller’s uniquely powerful music makes for a stunning season opener. An intimate, funny and at times deeply moving evening of song. Pianist Kathryn Stott is amongst the international talent to headline in New Zealand’s creative capital.